Water transfers in Thailand fill up quickly during high season. Guarantee your journey from Phuket to Koh Lipe on the day of your choosing, when you book in advance. Hotel pickup spares you the stress of getting to the pier of time with all of your luggage. 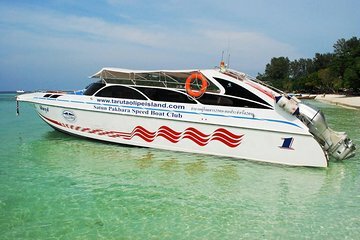 After a fast water transfer with brief stops to collect other passengers, disembark within easy walking distance of your Koh Lipe hotel.